Ashok Khemka has been posted as Secretary, Archaeology and Museums Department and Director General, Archaeology and Museums transferred from the post of Transport Commissioner and Secretary of Haryana. This is his 45th transfer in his 24 years of career so far. 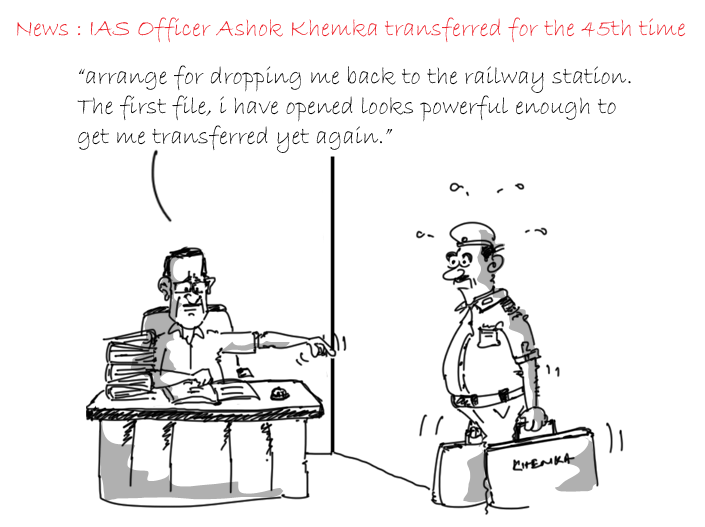 While the Haryana Govt claims its a routine transfer, Khemka’s tweet after the decision explained his pain on the transfer.